Harry Potter cake – my books. my life. 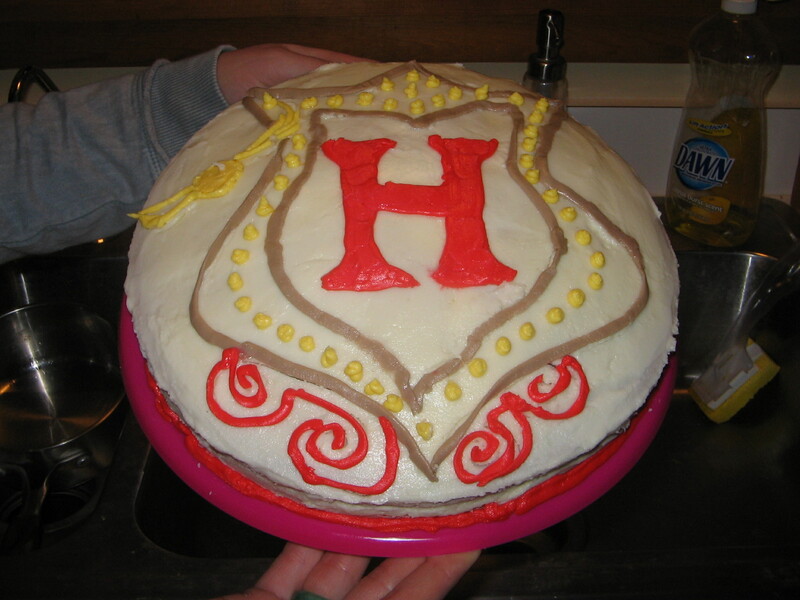 Emily’s post about her Harry Potter cupcakes reminded me of the Harry Potter cake that my friend Susan and I made for Ben’s birthday a few years ago. We originally had grand plans for the design, but eventually settled on what you see below. In the interest of full disclosure I should add that I had very little to do with the cake other than encouragement. Susan did most of it and another of her friends actually did the final design. But I did a very good job eating it.